| Healthy Living Articles | Food and Meals | Nectarines are Nectarlicious! Nectarines: peaches without the fuzz? Well, not exactly. Nectarines are similar to peaches, both originating in China more than 2000 years ago, and cultivated in ancient Persia, Greece and Rome. They were grown in Great Britain in the late 16th or early 17th centuries, and were introduced to America by the Spanish. 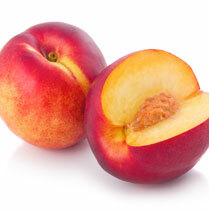 Nectarines are smaller than peaches and have a smooth golden yellow skin with shades of red. 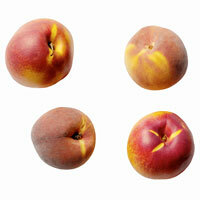 The yellow flesh often may have a pink tinge, and they have a distinct aroma and more pronounced flavor than the peach. Today, California grows over 95% of the nectarines produced in the United States. They are generally available from April to late August at the market. July is a great month to find fresh, ripe nectarines in the produce section. There are more than 100 varieties of nectarines, including Freestone or Clingstone varieties. The Freestone types separate from the pit easily and the flesh of the Clingstone type clings to the pit. Like peaches, nectarines are low in calories with only about 30-40 calories each. They are also fat free and sodium-free. Each nectarine provides 1 gram of dietary fiber and is a good source of vitamins A and C.
Look for fruit with no blemishes on the skin. Avoid extremely hard or dull colored fruits and instead choose nectarines that are barely soft to the touch. If a nectarine is under ripe, allow it to sit on the counter for 2-3 days to ripen. Handle them carefully as they tend to bruise more easily than peaches. Avoid fruit that is too soft, wrinkled, or has punctured skin. Ripe nectarines should be stored in a plastic bag in the coldest part of the fridge. They will generally keep for 5 days. 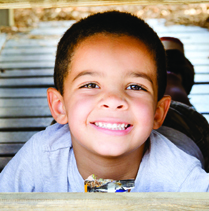 When possible buy organic nectarines as they often have higher pesticide levels, see “organic food products“. When organic isn’t possible, try your local farmer’s market which may have additional health benefits. Nectarines can be eaten fresh, sliced, or used in pies or for any recipe called for peaches. Try some sliced in your breakfast cereal. They are also very good grilled alongside pork or poultry. Simply halve the nectarine and remove pit (freestone varieties work best for this). Brush open side of fruit lightly with oil and place on hot grill. Grill for 15 minutes or until tender and golden. 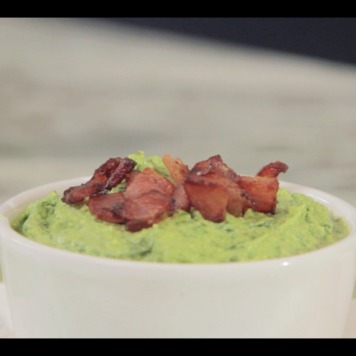 Serve along with meat as a garnish or side dish. 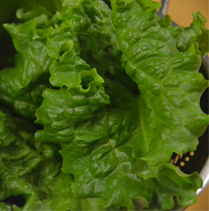 They can also be a nice addition sliced into salads. Recipe: Baked Nectarines with Ricotta and Amaretti Biscuits Calories per serving: 205. Serves 2. Eat and Enjoy! Place the nectarines, cut halves facing up, on a baking tray. Beat together the ricotta cheese, honey, crushed Amaretti biscuits and Amaretto extract. Spoon the cheese mixture on top of each nectarine halves, pressing down slightly. Sprinkle with cinnamon if desired. Bake the nectarines for 15 minutes. Serve warm. Check out some more delicious fruit recipes!